Is there really a right side? It's that time of year again when we can't get through one episode of "Grey's Anatomy" without a thousand political ads between every commercial. The endless derogative propaganda between the different parties with the ever so familiar ending tagline "...and I approve this message." But with all the mindless bickering between the two major political parties is there truly a correct side, especially in this specific election? Our world has turned into a very volatile place, with everyone taking a side. Someone always has to be right and someone always has to be wrong. But have we as a society forgotten the First Amendment that gives us the freedom of speech? Every single person is entitled to their own opinion as a citizen, though today we seem to be much more judgmental of one another. If it's all right for you to have your own opinions, it's all right for others, too. Be tolerant and accepting and be willing to hear their views. The war of politics has always been an intense thing, but this election, in particular, has brought out the worst in our society, between the simple gender discrimination aimed toward Hilary Clinton or disagreement with having a businessman mentality like Donald Trump run our country. Recently in the news, the altercations at party rallies have become an ever-growing concern. 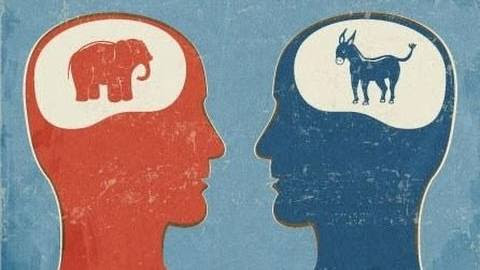 While political debates have turned into derogatory slamming between the candidates, people are more filled with hatred for the rival party rather than the motivation to support their own. Overall, the evolution of politics has gone from bad to worse. We as a society need to learn to values everyone's opinion, even if it differs from our own. Whether you are a Republican or a Democrat, we should focus on supporting what party we favor rather than fighting with the opposite party. As millennials, we need to understand that it is our duty to exercise that privilege. Although all the candidates serve the interests of different groups/kinds of people, I think there are certain interests that inevitably affect all people. If we start now, perhaps we can make progress for our children and so on, putting the political system back on the right track to its original state. And to truly start that off... just don't vote for Donald Trump.